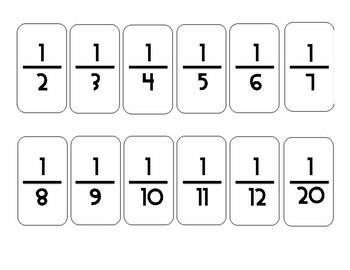 This ordering fractions game will allow students to practice placing fractions from least value to greatest value and vice versa! 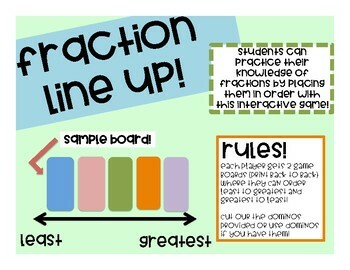 Domino templates, from 1/2 up to 10/20 are provided but if you have dominos in your classroom that would work as well. Each player has a least to greatest and greatest to least board, just print back to back. 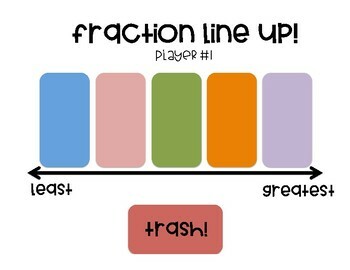 If students have a fraction that does not fit on the board they can place it in the "trash" pile! I have also provided a board without a "trash" pile if you wish to modify the game!